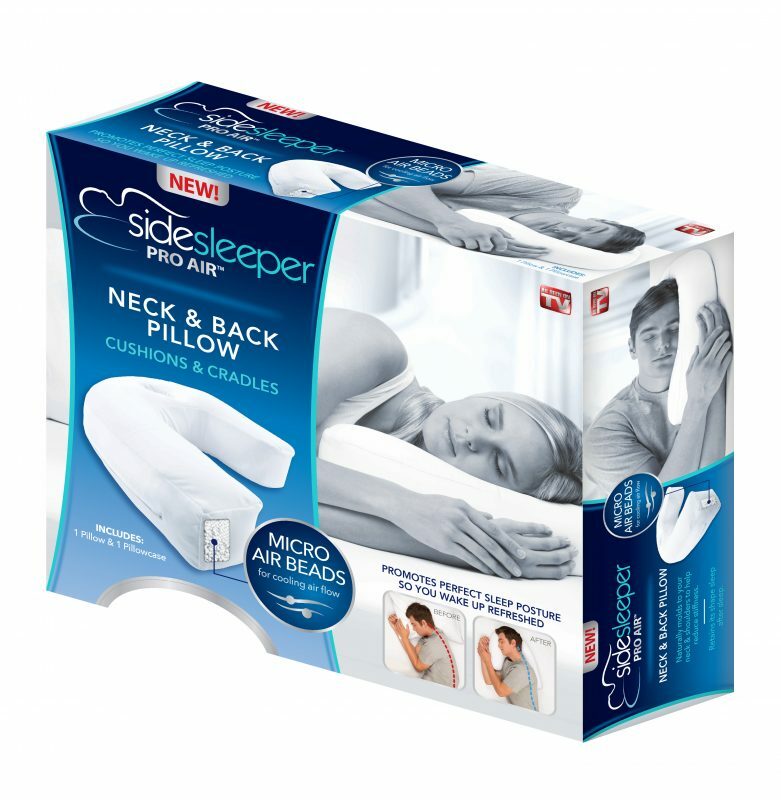 SideSleeper Pro Air™ Neck & Back pillow has a patented design that will cushion and cradle you while you sleep! Micro Air Beads allow for a cooling air flow to enter the pillow and naturally molds to your neck and shoulders so you wake up refreshed with reduced stiffness. Position your head and body so your ear is resting in the comfort ear-well and this will help align your head, neck and shoulders for maximum benefit. Your back should be nested slightly against the long edge of the pillow. This allows the for the pillow to cradle you for ultimate comfort. Includes one pillow and one pillowcase.